Hispasat 1A and B were the first two satellites in the national system operated by the Spanish satellite communications operator Hispasat, for a dual civil/military mission, offering services to telecommunications operators and radio broadcasting both in Europe and North Africa and America. Hispasat 1A was launched in September 1992, and Hispasat 1B in July 1993. From its orbital position of 30 degrees West above the Atlantic and close to the Brazilian coast, this was the first European satellite system to provide transatlantic capacity, simultaneously covering all the Latin American countries and the United States, areas that have a great deal in common both culturally and linguistically. The Hispasat multi-mission satellite system consists of a fleet of 4 satellites, a satellite control centre near Madrid, and two payload centres. The Hispasat X-band governmental mission is intensively used by the Spanish Ministry of Defence for communicating with Spanish forces. 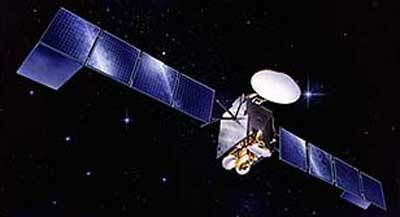 Astrium supplied the Hispasat 1A and 1B satellites, both based on the Eurostar-2000 version of the company's Eurostar series.